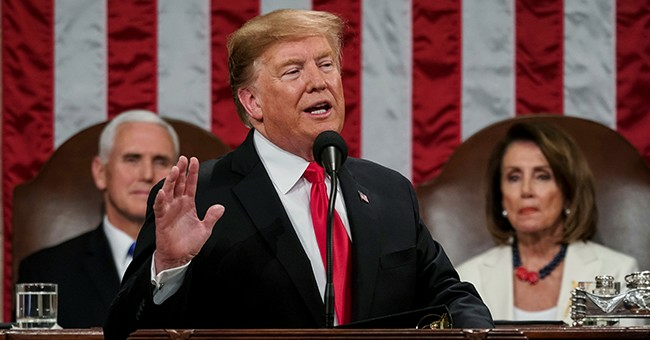 The State of the Union is a lot of pomp and circumstance, but in the Trump Era there is also an equal amount of gamesmanship – and that was on full display the other night. Watching Speaker Pelosi behind President Trump was funny, exciting, a little awkward, and all American. And, because of this no matter what side you are on at the end of the day the State of the Union was the best political show on television. And, for health policy followers – something he didn’t spend much time discussing was almost as interesting as the speech. The issue that I was waiting for – drug prices – didn’t end up being a large focus of the President’s speech despite selling it as a major part in the run up to the speech. Maybe that is a good thing! While his administration has done a lot of good toward lowering drug prices, recently the President has also had his administration pursue an idea to import foreign price fixing. His Administration’s proposal for an International Pricing Index has a lot wrong about it, but the two worst parts are that it relies on price controls which his own administration has pointed out is a bad Socialist Policy and it will reduce innovation and R&D by weakening Intellectual Property rights. But, the more you know – the worse it gets. What I don’t understand about the President’s pricing proposal is that President Trump and his administration have done so much good towards fixing prescription drug prices. They have gone after foreign countries for intellectual property theft. Just last week they published a rule that would help strip the middlemen out of prescription drug price inflation. And, they have talked about making the FDA more efficient. And, even better than just using his pen – there are solutions that are percolating on Capitol Hill that would lower costs too. In fact, a bill that would specifically fix a problem that Congress created a few years back was introduced this week. The “Hatch Waxman Integrity Act (HWIA)” would fix a legal loophole that allows repeated intellectual property challenges to pharmaceutical companies and other innovators. While this bill would only fix one part of our broken intellectual property system - an issue that I have been working on for more than a decade– it is an important piece. The liability of getting dragged in front of the Patent Trial and Appeals Board (PTAB) and having a patent taken away – at an abnormally high rate, and even after a company has successfully defended its IP in federal court - has created its own market in patent shorting, chilling innovation in the process. The bill introduced this week by Senator Thom Tillis and Congressman Bill Flores, and proposed in the last Congress by Senator Hatch, will help fix unintended consequences of the America Invents Act, which have been exploited by generic drug companies looking for duplicative pathways to challenge pharmaceutical patents. Under current law, generic companies can challenge branded pharmaceutical IP under two separate pathways: Hatch-Waxman, which is decided in federal court, and Inter Partes Review, which is litigated by the PTAB. What we often see is a patent challenge failing in court, only to succeed under IPR. This duplicative process drives up costs and uncertainty for the pharmaceutical innovators who spend billions of dollars investing in research, development and approval for new medicine. We undoubtedly see generic drug companies cry foul at the HWIA, but make no mistake: Both patent challenge pathways remain an option for generics, they simply have to choose one. It’s a more efficient way to allow generics to argue they deserve market access, without an expensive, duplicative and drawn-out process. The current healthcare market is broken. It was broken before Obamacare and it is has just gotten worse. That type of broken market doesn’t need a band-aid. That type of broken market needs real fixes. The President has started the hard work of real reforms - I hope that he drops his proposal to import socialism and instead focuses on free market reforms that he has already started.